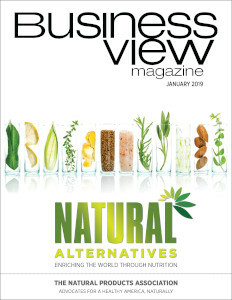 AGCO Inc./Craftmark Solid Surfaces Inc.
Business View Magazine interviews Larry Pulliam, Pres. 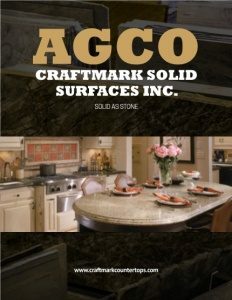 Of AGCO Inc/Craftmark Solid Surfaces, for our focus on Manufacturing in the Cast Polymer Industry. AGCO, Inc., the parent company for Craftmark Solid Surfaces, was founded in 1979 as a manufacturer of cultured marble vanity tops. The company’s primary focus of providing countertops to the growing apartment industry in the metro Atlanta area was followed in the early 1980s by expansion into the single-family dwelling market for custom cultured marble tubs, shower pans, and shower enclosures. AGCO thrived over the decades by increasing its product offering, a growth trend that has continued to this day. As for Craftmark, the company offers one of the most diverse countertop product lines in the Atlanta area, including cultured marble and cultured granite for the bathroom, and solid surface, natural stone, and quartz products for kitchen or bath. It is known as the ultimate source for elegantly crafted and professionally installed decorative surfaces for the home. The company sourced materials from major suppliers on a very limited scale, buying resin in 55 gallon drums, and calcium carbonate, used as a filler, in 50 pound bags – one pallet at a time. 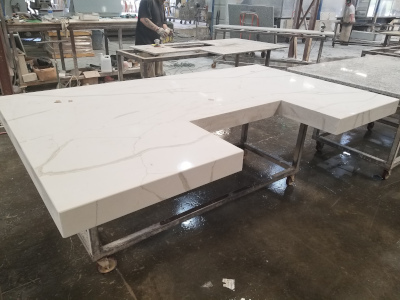 As the company grew, it branched out into high-end, custom cultured marble work; very intricate custom applications that opened the door to a new and lucrative market. AGCO was covering the bottom (apartment side) and top (high-end custom side) of the market and the middle just fell into place. People came to know they were out there and had capabilities across the entire spectrum – everything from basic, easy countertops or window sills to the most elaborate top-line custom work for residential builders. They kept the commercial side but moved into the national builder scopes, and then regional and local builders in the Metropolitan Atlanta area. The main AGCO facility, located in Norcross, Georgia, a northern suburb of Atlanta, encompasses a 100,000-sq.-ft. manufacturing operation on a 10-acre piece of property, with plenty of room left for expansion. There is also a satellite facility in Douglas (south Georgia), another in Douglasville (west side of Atlanta). The company sells to a network of kitchen and bath (K & B) dealers, nationwide; the K & B network are regular customers, including cabinet shops, retail home centers, and plumbing showrooms throughout the country. The split by division is 50 percent residential, 30-35 percent nationwide dealer, and the balance is commercial applications. There are no stock units. 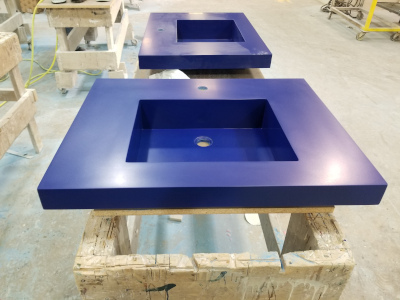 Every part produced, whether a bath vanity top or kitchen countertop is built to someone’s specifications, and 98 percent are custom; the only exception: a small amount of standard-size manufactured shower pans and bathtubs. Automation of the manufacturing operations is a key focus. 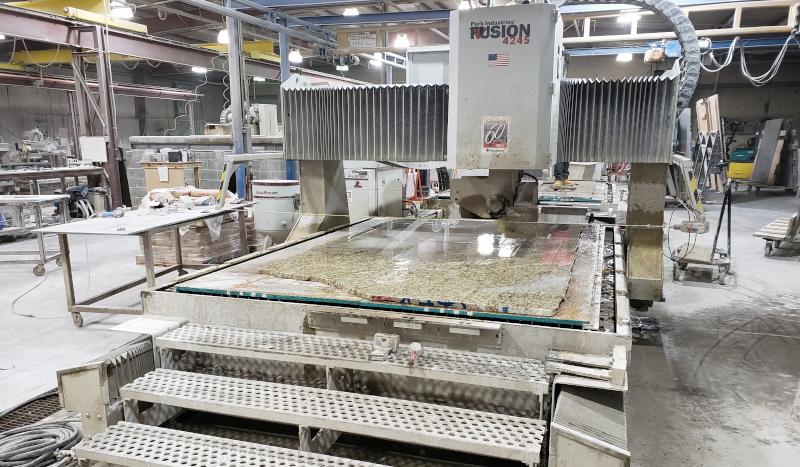 The stone division – Craftmark – uses CNC machines and CNC-controlled cutting equipment and polishing equipment. In addition, the marble processing and manufacturing operation has continuous casing machines that blend materials. Being set up as an assembly line manufacturing plant, even custom parts all move through the process in the same location and the same manner. WHO: AGCO Inc./Craftmark Solid Surfaces Inc.